As LinkedIn continues to expand as a rapidly growing community, its citizens have an opportunity (some would say an obligation) to play a role in helping it develop and grow in a responsible way that meets their needs. Any member, and every member, can contribute, add value, and help responsibly develop our professional network with only a little effort. 1) Decide your purpose – Whether to communicate with colleagues, build a network within your industry, promote your brand, or something else, make choices based on the reason(s) you are here. 2) Fill out your profile – Complete as much of your profile as possible, even if do not intend to send or accept invitations. This strengthens your brand, while improving the quality of the network. 3) Upload a professional photo – This is a professional network; please use a professional head shot or a decent selfie, not a picture of you with your pet or at the beach, unless it relates to your profession. 4) Post only when it adds value – Posts should reflect professional interests, knowledge, and ideas… or inspire. Everything you post adds or takes away from your value… and the reason(s) you are here. 5) Offer positive and constructive comments – Criticizing posts and articles neither reflects well on you nor strengthens your network. Add ideas, offer alternatives, say nothing, or write your own post or article. 6) Share and Like valuable posts – Many good writers get 150 views, yet a math problem “only 2% can solve” receives 17K comments. Every “Follow”, “Like”, and “Share” influences the direction and value of our community. 7) Visit profiles before accepting invitations – A quick profile visit before accepting an invitation (more at 3 Steps to Improve your LinkedIn Network) can prevent harm to, and discover potential benefits for, your network. 8) Contact connections with integrity – When reaching out, be brief, polite, and direct. Do not immediately sell, unless responding to their request. If you ask for something, be genuine and gracious. 9) Protect your network – Report fake and harmful connections, and remove contacts who spam you. LinkedIn is responsive, yet needs our help. 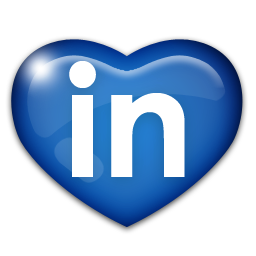 We each play a role in helping LinkedIn develop and grow. Engage with purpose and integrity, add value to your network, earn the trust of your connections, and strengthen our community. What is your purpose… and how are you adding value?